Some 900 baby marine turtles have been returned to the sea in the last five months, the maritime protection division of the Núi Chùa National Park in south central Ninh Thuận Province said. The turtles belong to the green sea, hawksbill and loggerhead turtle species, which are facing high risk of extinction. The park’s Ngang beach and Thịt beach are the only inland areas, and the second area in Việt Nam where maritime turtles come to lay eggs during the breeding season, apart from the Côn Đảo National Park. Some 70 turtles have built 21 egg nests and laid some 1,400 eggs in the area since the beginning of June. Phạm Anh Dũng, deputy head of the division, said this was the highest number of turtles laying eggs in the area in the last five years due to this year’s early rainfall and sufficient humidity. The park’s staff regularly examined and supported the turtles during their nesting time. In June, the park established a semi-artificial maritime turtle rescue zone to rescue, provide treatment, recover and raise maritime turtles that had been caught by fishermen and held captive before returning them to the sea. 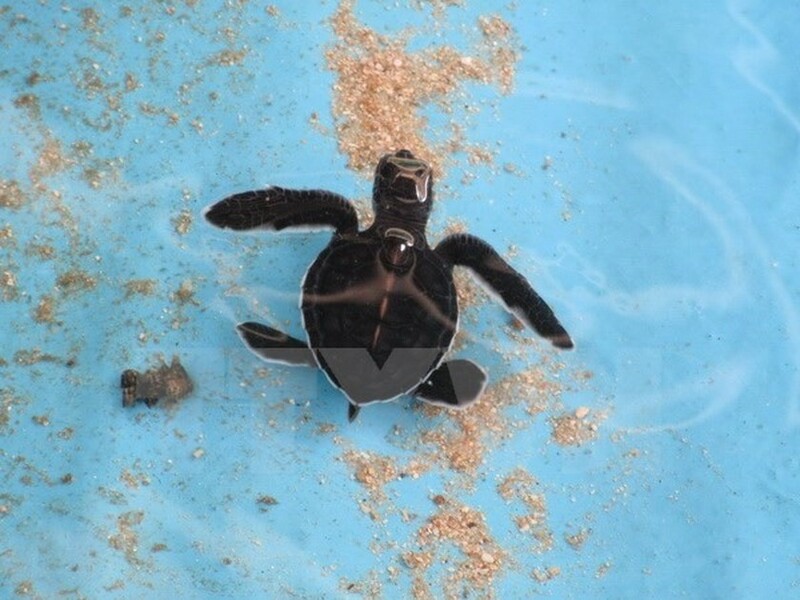 The maritime turtle protection project by the park in the 2008-15 period rescued and returned some 6,000 baby turtles to the sea. It also provided medical treatment for 25 injured mature turtles. Dũng said the number of maritime turtles is decreasing dramatically due to human hunting activities to sell their meat, eggs and shells to tourists or grind their shells to make medicines. A large number of turtles got stuck in fishermen’s fishing nests, suffocated and died, according to Dũng. The use of dynamites and toxic chemicals in coral mining and other fishing activities is destroying the turtles’ natural habitat, he added. Their nesting areas and food resources are also getting limited by the construction activities.